Just two blocks east of I-75 this building has a great location with current tenants including attorneys, CPA"s and an executive search firm. The shared office space is ideal for professionals that want to portray a more permanent impression to their customers than a traditional executive suite environment might. The area's local transport links are also fantastic, making the center easily accessible for all. This innovative site offers businesses with the a wide array of amenities to help make their leasing experience as seamless as possible. Located in a predominate site, many different businesses call this area home. This site focuses on offering a great community and culture that make companies want to be here. A short drive away from the surrounding restaurants and shopping centers, offering convenience for all. Rental serviced space now available close to many large businesses and with access to local amenities. The centre is offering well serviced offices with very good technology facilities. Easy building access and parking offered. This extensive and highly professional Dallas business center location is currently offering a range of specialist and professional workspace solution packages and corporate services as well as the additional benefits of the area's convenient freeway access and to nearby Shopping Malls. This center is offering several technological services such as network and telephony access with reception cover all in a professional setting. This contemporary and state-of-the-art fitness center complete with saunas, lockers, showers and workout classrooms, tenant lounge / game area, 12 electric car charging stations, and shuttle service to The Shops of Legacy. Enjoy complimentary bike checkout, bike storage room, floor-to-ceiling, unobstructed 360 degree views, shoe shine, dry cleaning and car wash services. Fully furnished workspace solutions with month-to-month agreements. No long-term leases required. The building also features a gorgeous outdoor amenity terrace with fire pits and Wifi connectivity, so you can enjoy outdoors at your leisure. This prime location in the Shops at Legacy is the perfect mixture of work-life balance. With high end retail being steps away, across the street and next door you might catch the bug to shop. Stonebriar mall is just five minutes away and the Dallas Cowboy’s practice stadium is down the tollway. There are many high end and popular eateries to visit on your break or after work for a Happy Hour. Make this center your work home in one of the fastest growing areas in North Texas on the “Billion Dollar Mile” trail! 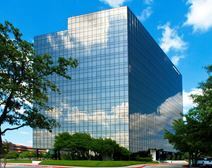 Executive business centre located in Plano is offering a high grade building with a range of services in this great setting. 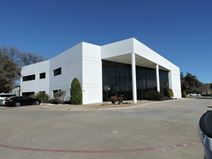 This incredible business point is located between the Dallas North Tollway and Tennyson Parkway. Leased office space is close to DFW and serves Dallas, Allen and McKinney well. This is a turnkey facility and comes equipped with modern amenities with conference facilities and high standard furnishings. he dramatic four storey open atrium creates a dramatic naturally lit environment providing a true sense of arrival for corporate visitors. You’ll also enjoy abundant covered parking for both you and your guests. Rental service space that is serviced is close to DFW and to nearby highways and shopping centres. This centre offers well designed office suites with the latest in network and telephony services, friendly reception staff and conferencing amenities in a professional setting. The regional transport links are also excellent and provide all occupying tenants with a range of frequent and convenient services in operation locally. Looking to take your business to the next level? Then this brand new location is everything a growing business could ask for, and more. Coming fully furnished or unfurnished, this space gives any company the option to fully customize their experience. This space has been built around efficiency and the center staff is available to assist with any details of the office, giving more time for a business to focus on growth. Ideally located in a growing area, this center provides a wealth options for dining and activities. This centre is close to the Dallas Tollway and to the nearby Mall. It offers a range of amenities and some equipped with the latest in technology and offers complete functionality such as administrative and conference facilities with all in a professional setting. This center provides high-speed Internet access, client support, computer support, office supplies, and three conference rooms. There is a high-tech phone and voice system to meet any of your company's needs. Conveniently and ideally situated no less than 30 minutes from the area's main international airport and fantastic regional transport infrastructure, this incredible business center location provides great access to some of the most successful and rapidly developing businesses from ambitious industries such as insurance, finance, marketing, and more. The center itself has a variety of spaces that suit a range of business sizes. Minutes from Legacy Park and Stonebriar Mall this new three-storey building provides a great mix of private and collaborative office space. The ground floor is a 12,000 square foot co-working area while the other two floors consist of 126 offices, averaging 140 square foot each. The regional transportlinks are also excellent, with a wide variety of convenient and frequent transport links in operation throughout the locality. This fully functional and exquisitely furnished corporate installation is one of the region's foremost and most commercially significant office providers, featuring such professional benefits as spacious meeting rooms, high speed internet connectivity, dedicated corporate telephony, an abundance of natural light, secure parking, on-site management, collaborative working spaces and much more. The site is also easily accessible via the area's excellent transport links. Situated within one of the most sought-after real estate development areas in the country this center provides fantastic workspace in the form of hot-desking, dedicated co-working desks and private offices in the heart of Legacy West.